Prized for their beauty, parrots have wild instincts that may challenge their relationship with humans. Do your homework before adopting symbols of spring, such as rabbits, chicks, and ducklings. Too many end up unwanted. Forever Wild’s sanctuary animals provide opportunities for both education and adoption. 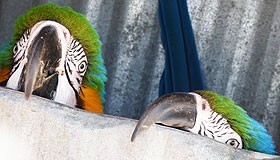 Forever Wild is a sanctuary for birds and other domestic animals rescued from abandonment or neglect. Adoption to an approved home is our primary goal. 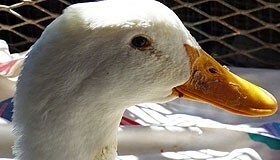 We are a sanctuary for parrots, chickens, domestic ducks, geese, pheasants, peafowl, turkeys, and other domestic fowl. We also accept domestic rabbits, guinea pigs, and hamsters. If you are faced with a situation in which a domestic bird or rabbit needs to be rescued or relinquished, contact the Sanctuary at (520) 574-3579. 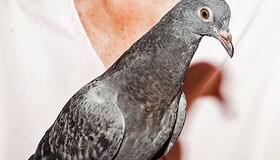 We also accept pigeons, starlings, and English sparrows. Forever Wild Animal Sanctuary provides both short-term and long-term boarding services for all types of parrots, offering a sanctuary environment that is friendly, safe, and competent.